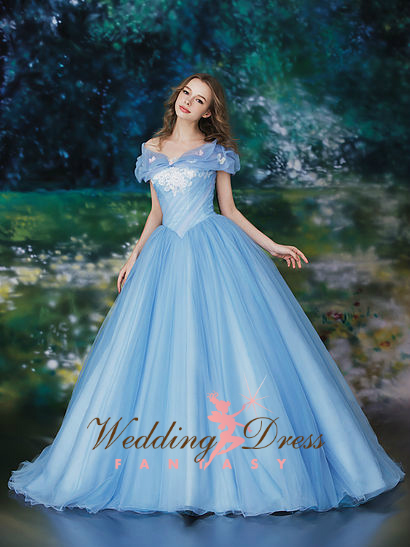 This beautiful Wedding Dress Inspired by Disney's Cinderella is so breathtaking. The gown is made with Blue Bridal Organza and Ivory Lace Applique. The detachable Shawl is included with this stunning gown.